You can create a better life tomorrow than the one today. You can achieve a better life than the one you have now. Substance use, anxiety, depression, and negative events do not have to be the prevailing theme in your life. 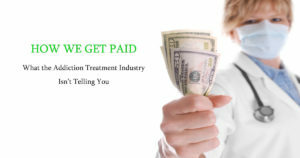 By creating an alcohol rehab and drug rehab in Kansas City that is affordable, effective, and logistically feasible we guide individuals and their families to a better life than the one they have today. It may seem an unachievable task, but, like so many before you, it is possible by taking the right steps. Treatment outcomes are greatest when planned and implemented properly. Access to multidisciplinary treatment is vital: We provide medical, mental, and behavioral services. Time in treatment is proportionate to outcomes: We ensure ongoing access to treatment. Some clients continue at even a once-per-month basis because it is possible financially, for their schedule, and continues to improve their lives.. Needs change overtime: Our program is capable of treating mental health, behavioral health, and life issues far beyond substance abuse. Our mission is to improve the quality of life for our clients, not sobriety alone. It is very simple to get started. 1. Schedule a free consultation to learn about our program, review insurance benefits or self-pay options, and determine if our program is a good fit for you. If it isn’t we help you find resources that are. 2. Complete intake or receive information on other programs that may be a better fit based on clinical, medical, and resource criteria. 3. Start improving your life one day at a time by following the plan that is created specifically for you. We provide Medical Detox, pain management, and ongoing medical care – giving you the tools you need for your journey. Unlimited treatment time – we treat you as long as it takes to achieve your goals and adjust goals to continually improve your quality of life. In-network provider – we make treatment cost-effective and minimize the financial burden that limits treatment time and needed services. Flexible scheduling – we provide services that make it easy to continue treatment without negatively affecting other areas of your life. Internationally Accredited – you can be assured that everything we do is reviewed and approved. Our program provides treatment combined with an accessible, compassionate, and person-centered philosophy. The difference at MIA is more than our holistic, person-centered, and best-practice treatment model; it goes beyond excellent treatment to ensure excellent services and experiences. Our reputation has been built on compassion, accessibility, responsiveness, flexibility, and effectiveness. Our Kansas City facility provides an environment that nurtures recovery and wellness. Client and family satisfaction are important to our addiction treatment team, because each client is at the epicentre of what we do. MIA’s framework and culture are second to none. Ask around, our reputation speaks for itself. WHAT OUR CLIENT’S RECEIVE: If you engage in treatment and follow the treatment plan developed by you and your treatment team your life will improve, the negatives will dissipate and will be replaced with positivity. The downs won’t seem so low and the highs will be better and without remorse. The things you once enjoyed will once again fill your heart. A quality life is more possible than you can even imagine right now. Our rehab in Kansas City offers a complete continuum of care that goes beyond alcohol and drug use alone. The MIA approach focuses on your “quality of life”, by addressing your physical health, psychiatric health, family health, social health, financial health, legal issues, occupational issues, and of course alcohol and drug use. Outcomes and assessments of MIA clients are based on these elements; we can identify the severity and change of each category in order to identify areas of need for each individual, which in turn, shapes that client’s treatment. In most cases, there are more areas for improvement than simply alcohol and drug abuse. 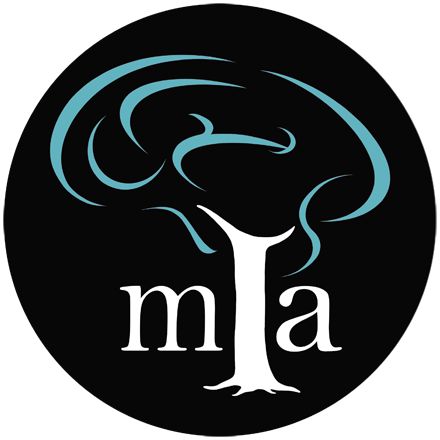 We appreciate the fact that anyone (regardless of addiction) would benefit from utilizing MIA’s multitude of services. So what does this mean for you and your family? 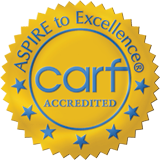 Our rehab center provides evidence-based treatment delivered by some of the most experienced providers in the Kansas City area. We deliver quality services at times that are convenient to you because we understand you have other obligations; this translates into days, evenings, and weekends; times when other rehab facilities are closed. MIA is always accessible by phone and in-person to ensure the highest level of support possible. We take your care seriously always advocating for our clients and their families. Our array of unlimited services means a treatment process rich in quality rather than a minimal approach. We do not use sale tactics, we offer free consultations to aid individuals in finding appropriate treatment; not ours alone. We accept insurance for the same program quality that is often only found in high-priced private facilities. We understand what you are going through, where you want to be, and the various obstacles in your way. Our commitment is to help you navigate this road by making the highest quality of care available, accessible, and affordable.